Review FreshLook One Day I agree with the other reviews that they should be slightly larger as they are a bit blurry. I stopped noticing it after an hour or so of wear. They're good value for prescription colour lenses. The delivery was really fast and well presented, thanks! Review FreshLook One Day The pupil hole needs to be bigger. I found them to be a little blurry but. The colour was very nature! 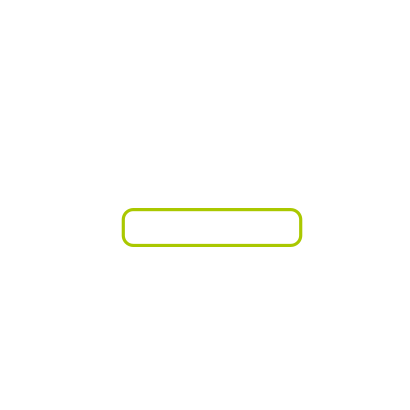 I would prefer a stronger more unusual green. I very much liked the dark outline which makes quite an impact. Very comfortable and I would have re purchased had the green been more vibrant. 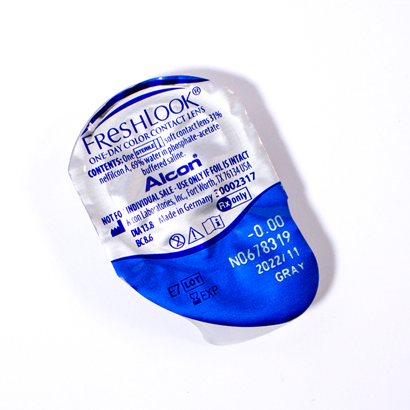 Review FreshLook One Day A bit small for my eye and can only wear comfortable for 4 or 5 hours. Color is good & vision is good specially for a colored lens. 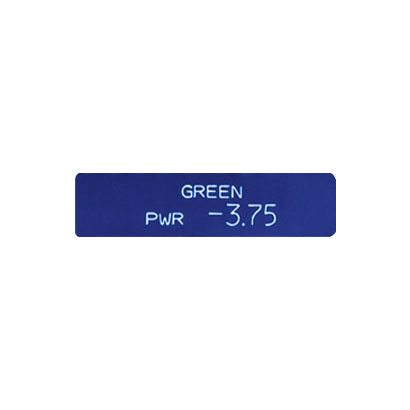 Good price for a daily colored lens. Review FreshLook One Day Good product for the price. It's a pity that it doesn't adapt to astigmatism. Freshlook I have naturally blue eyes and ordered both the hazel and grey. The hazel really enhanced my eyes, but I didn't notice a lot of difference with the grey...In terms of comfort, I actually thought they were more comfortable than my normal contact lenses, however these are dailies and those are two weeklies. Might try Freshlook Colorblends as these are monthlies, and works out quite expensive for to buy these on a regular basis. FreshLook One Day contact lenses, by Ciba Vision, are a great choice for those valuing convenience. These lenses are specially designed for single wear only. Once you've worn your FreshLook One Day lenses, you should discard them, replacing them with a fresh new pair the next day. This means that you don't have to concern yourself with a lens care routine. Wear and tear is not an issue with disposable lenses either and your eyes will feel comfortable all day long while wearing them. Those suffering from allergies can also benefit greatly from wearing FreshLook One Day lenses, as the deposit and pollen build up is minimal, in comparison to the build-up that two-weekly or monthly contact lenses can attract. The 3 in 1 ColourBlends technology, incorporated in the Focus Dailies lenses, allows contact lens wearers to experiment with various lens colours. These lenses are opaque so they look great whether your eyes are dark or light. Choose between blue, hazel, green and grey shades, to enhance your natural beauty or change shades every day, according to your mood. If you prefer to wear contact lenses on a part-time basis, you'll definitely get the most out of these lenses.